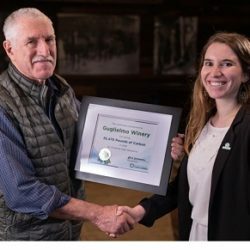 Read CAFWineJaunt.com article: Guglielmo Winery, Morgan Hill…Old World charm in the Silicon Valley. 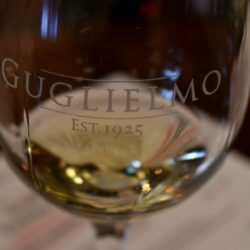 Initially started as a jug winery in the 1920s, guests would come to Guglielmo Winery to refill their wine jugs. Some would take it home, but many stayed and made a day of it at the winery. It was a time for the locals to enjoy a picnic, catch up on the social scene, and relax together. Things tend to come back in style. The refillable wine jug, or Growler, is popular again. And why not? It’s convenient, and eco-friendly. George Guglielmo, our Wine Maker, was interviewed on why the winery choses clean electricity. 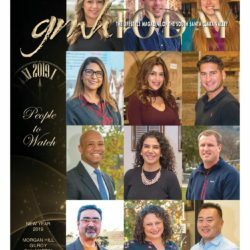 Our Own Angelia Guglielmo is a “Person to Watch”! !